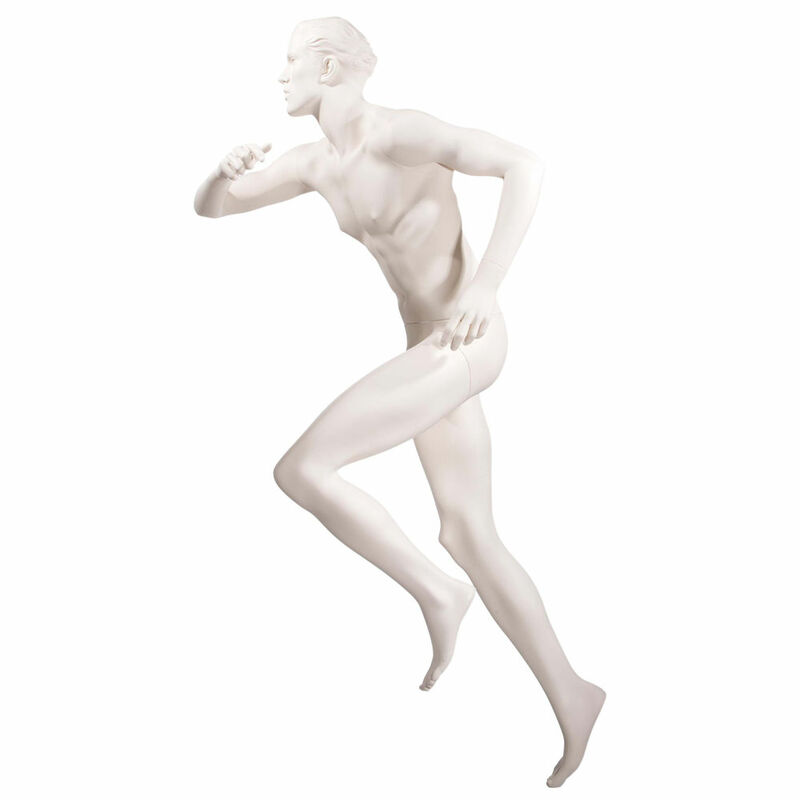 The sports mannequins come in a sprinting pose perfect for showcasing today's active sportswear. Male model is perfect for retail, shoes, and sporting goods stores. The sports mannequins have a raised leg in full motion to highlight hi-tech running shoes in a size 12. Features a size 40 waist and comes in a camo white finish.